WET PLUS is a powerful booster for use with WET WASH UNI. It helps remove all kinds of grease, tannin and protein stains. 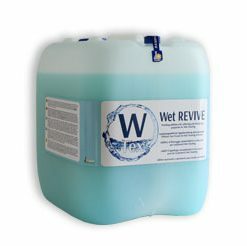 Its new formula contains valuable surfactants that make it gentle on coloured fibres and delicate garments in general. 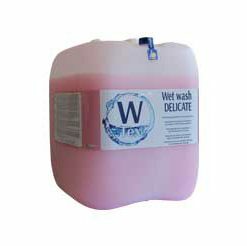 WET PLUS is formulated specifically for use in all Wet Cleaning processes although it is suitable for traditional water washing systems as well.